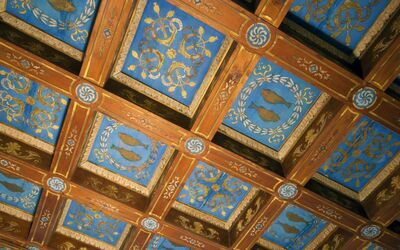 Бронируйте свой отпуск на период с 11 Май 2019 до 06 Июль 2019 и сэкономьте 15 % (минимум 7 ночей). 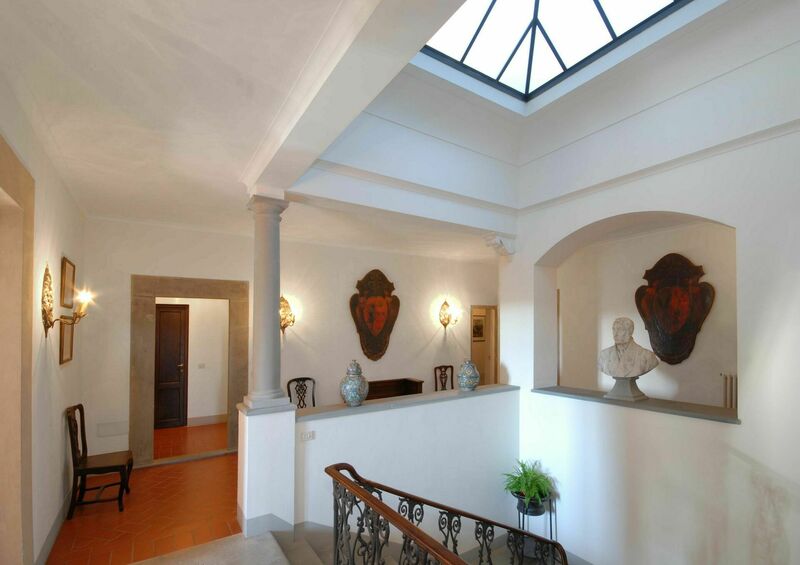 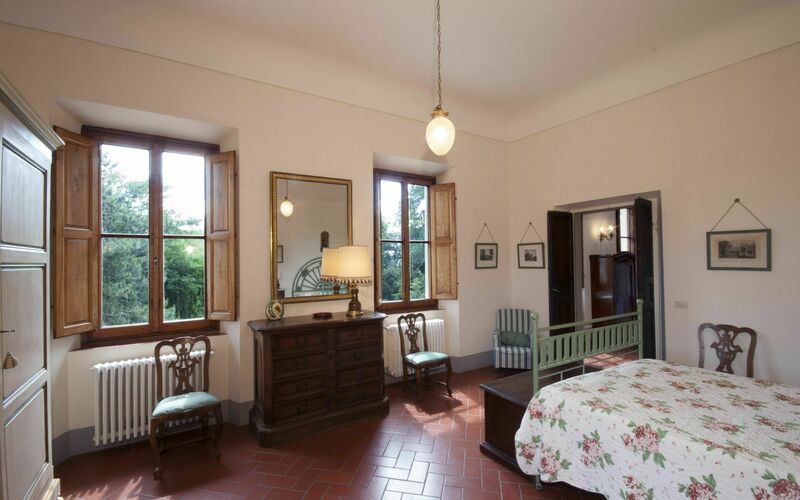 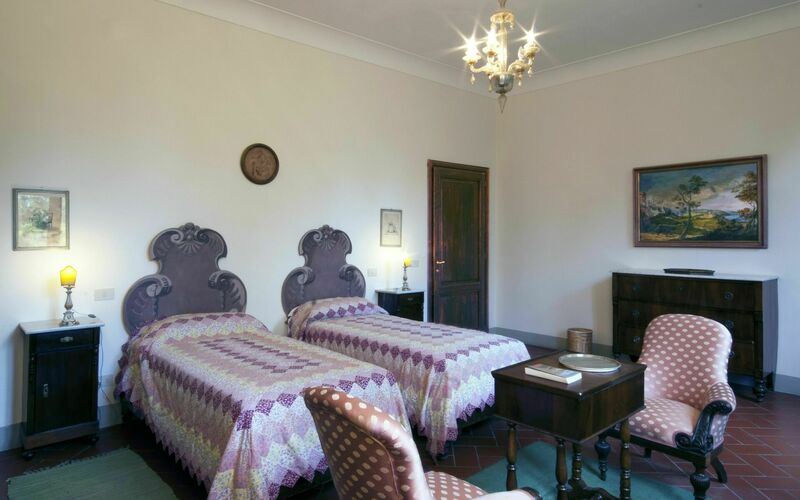 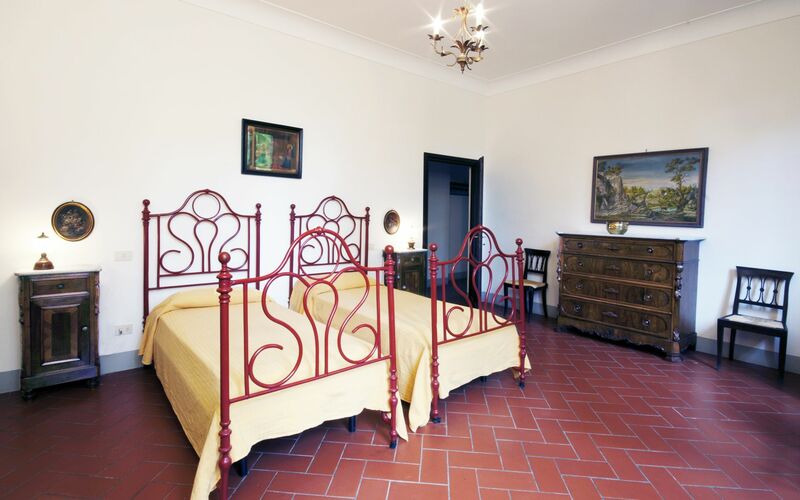 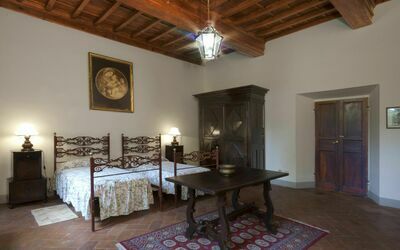 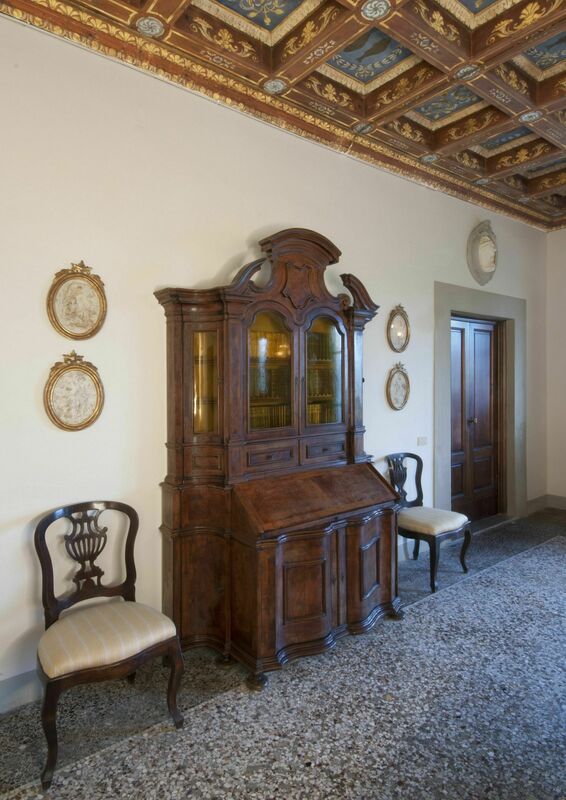 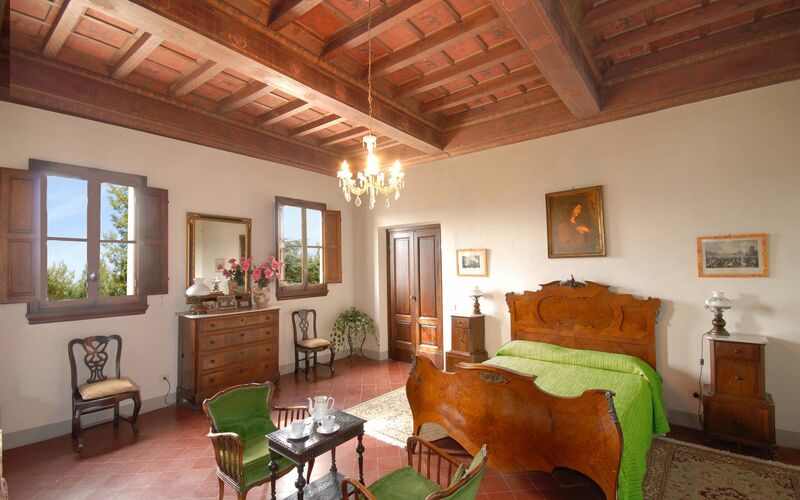 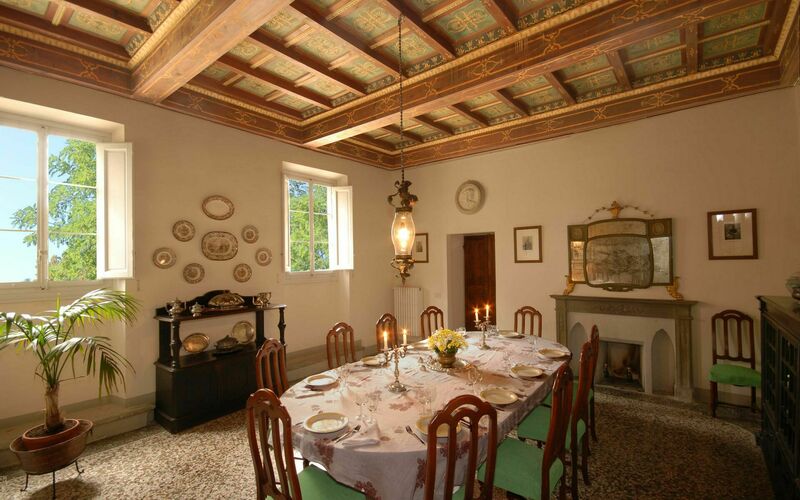 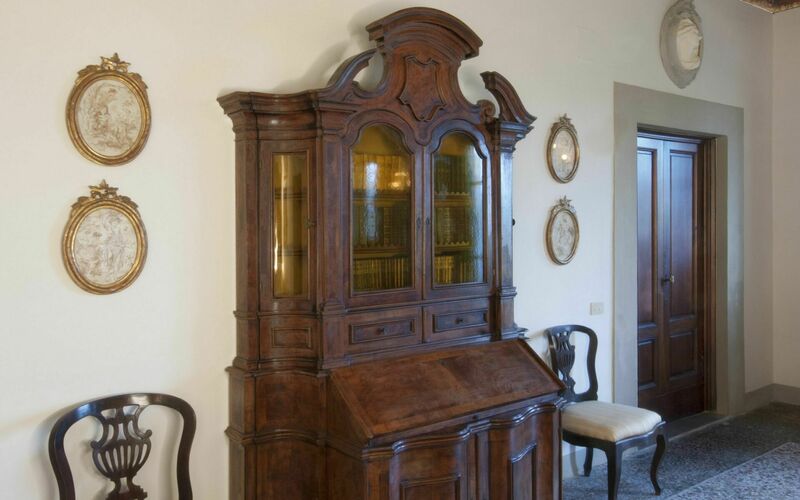 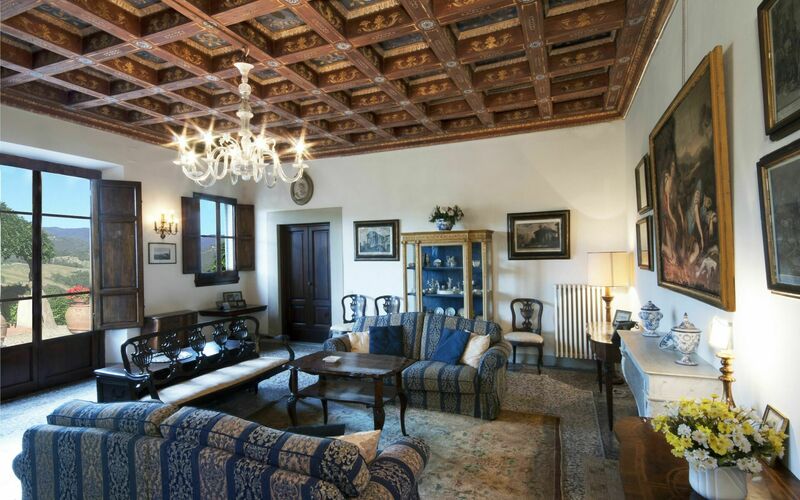 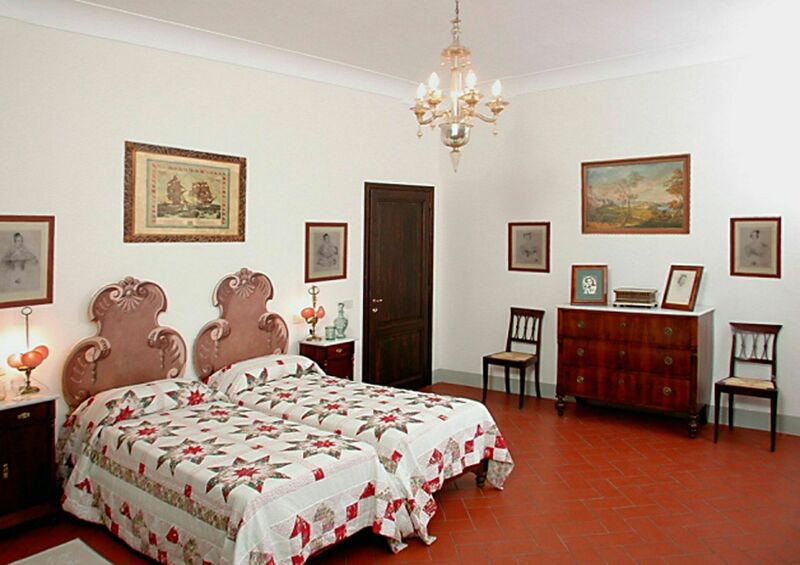 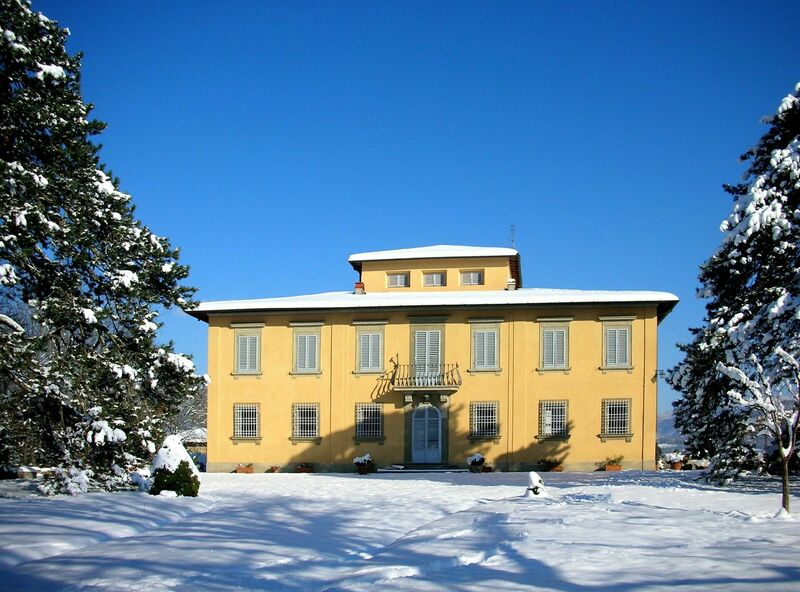 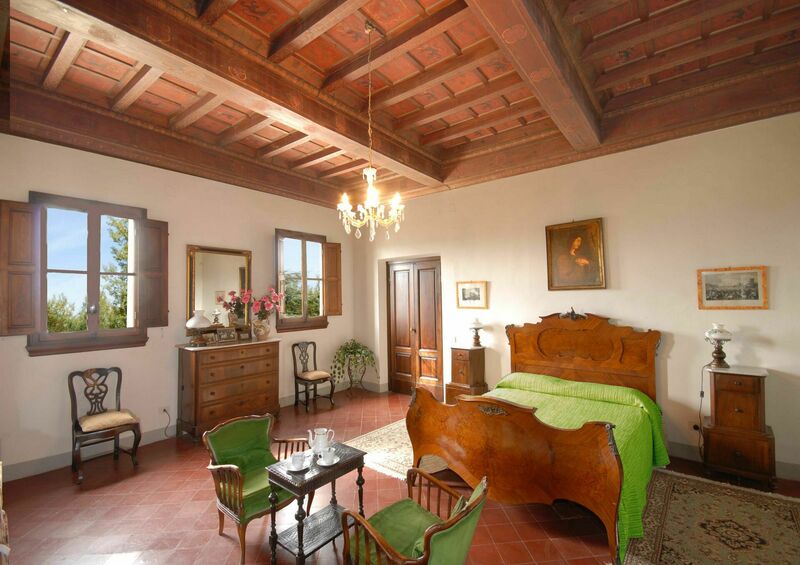 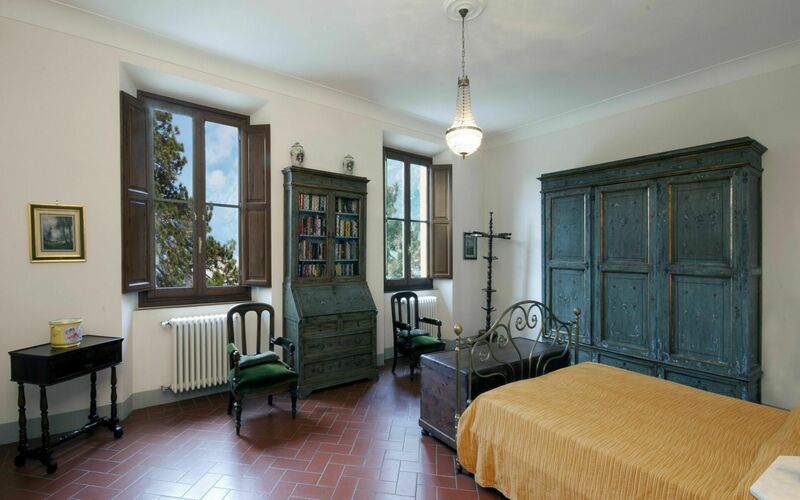 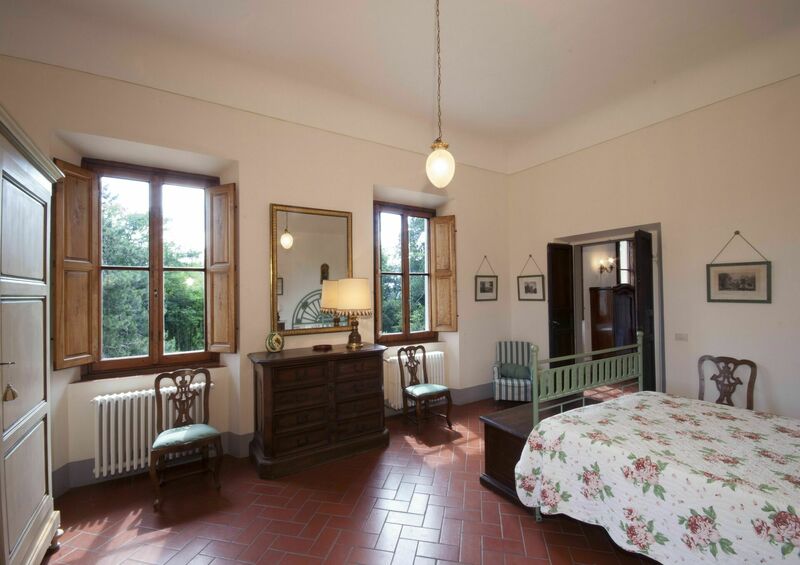 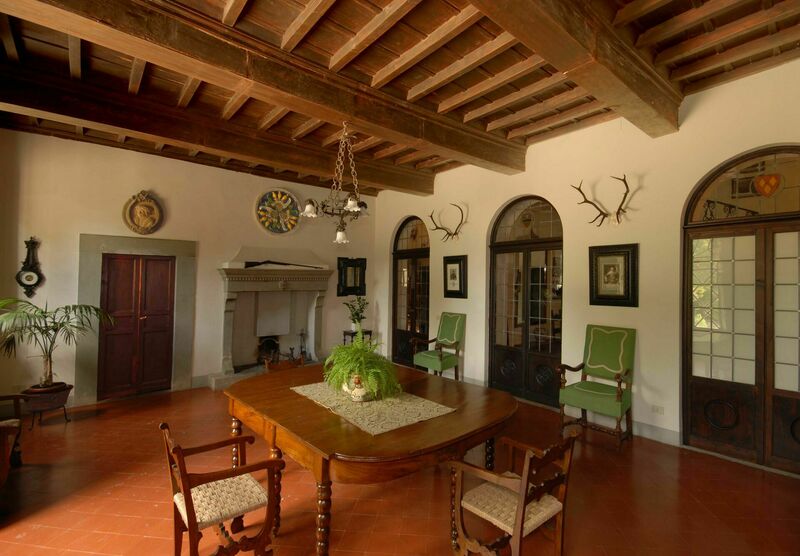 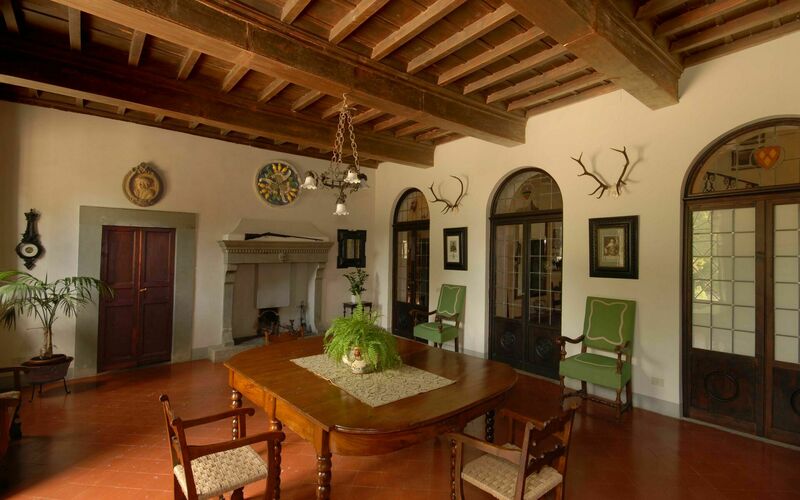 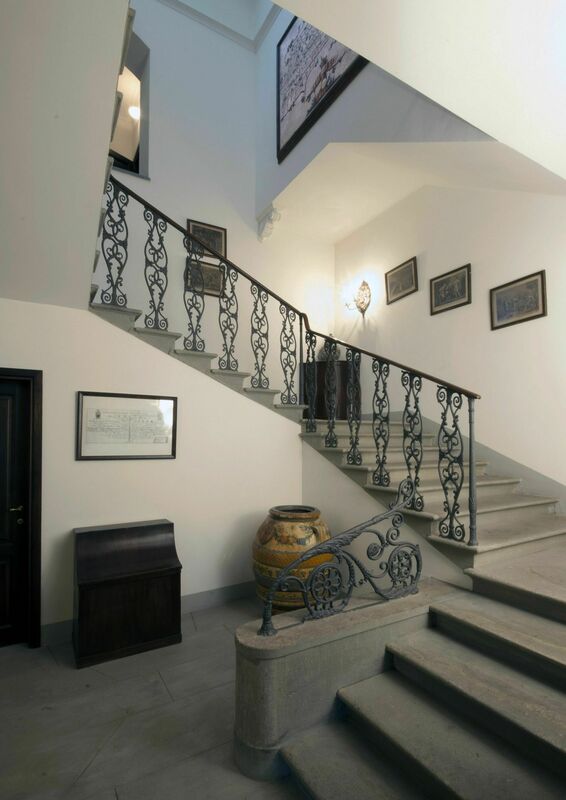 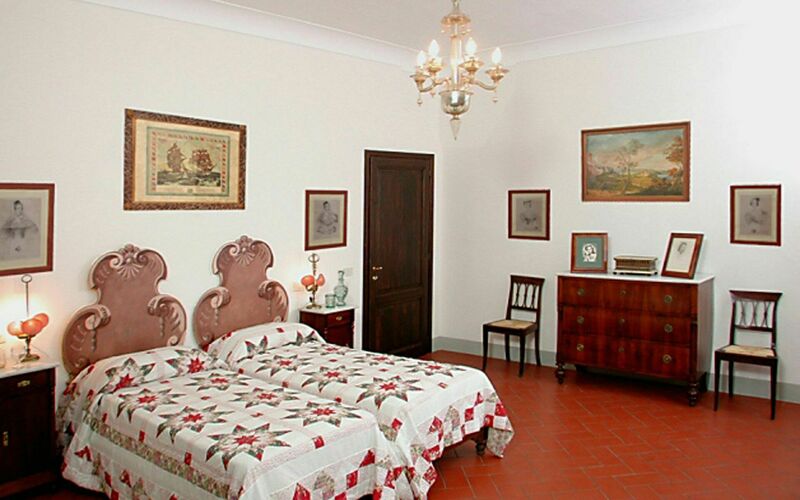 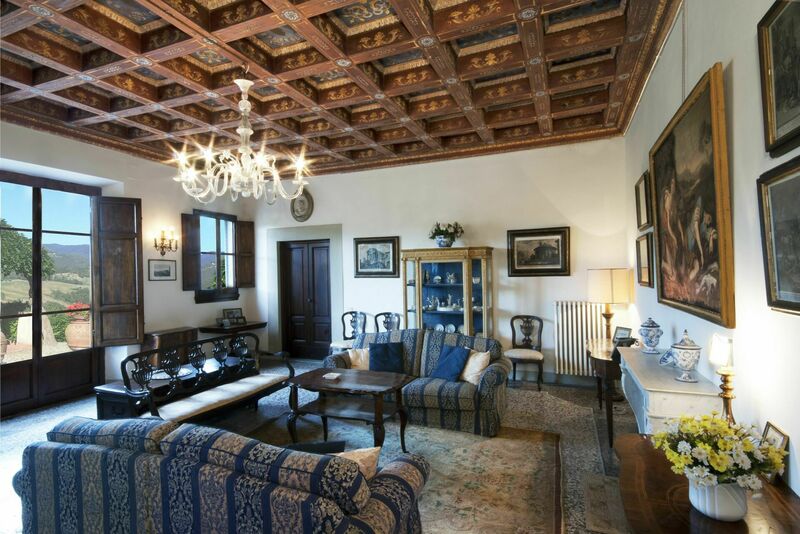 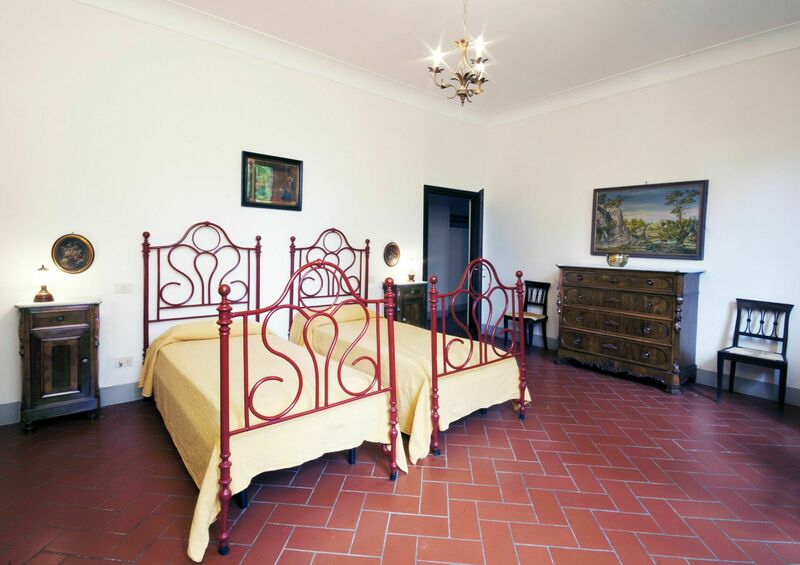 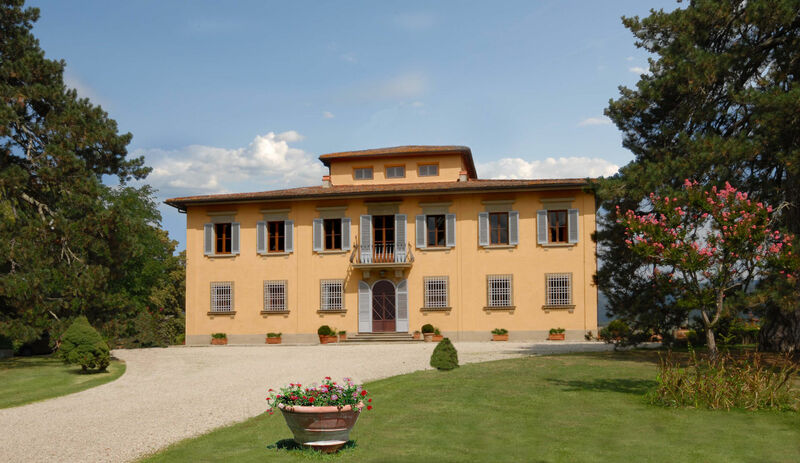 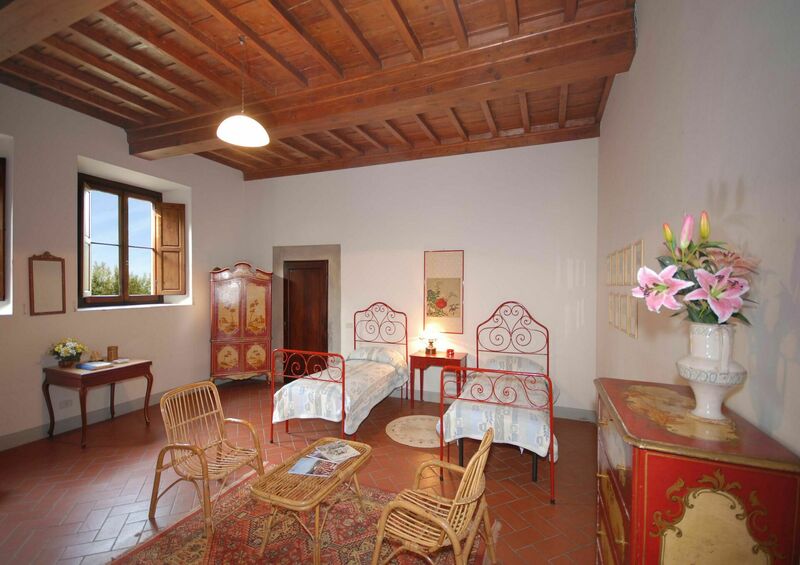 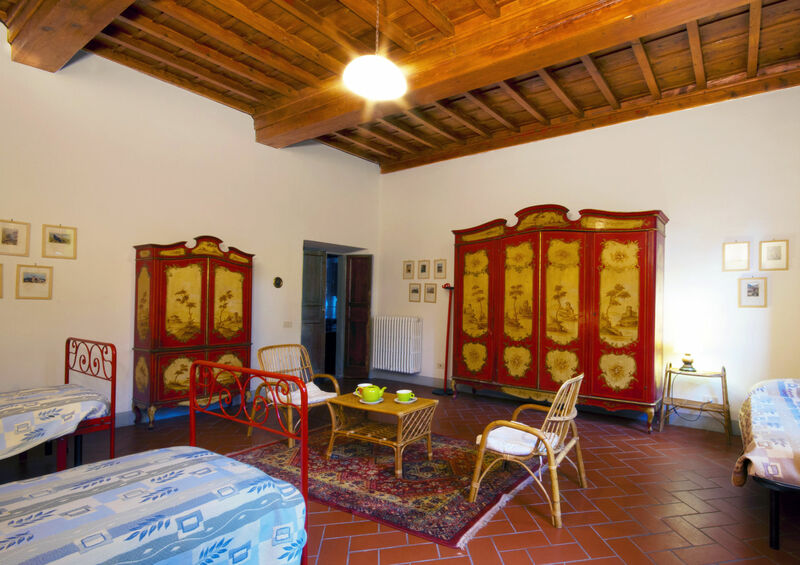 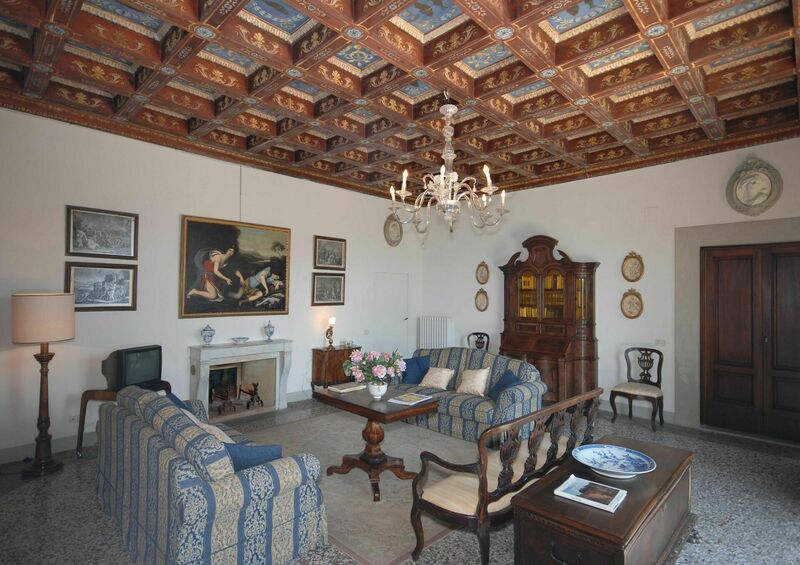 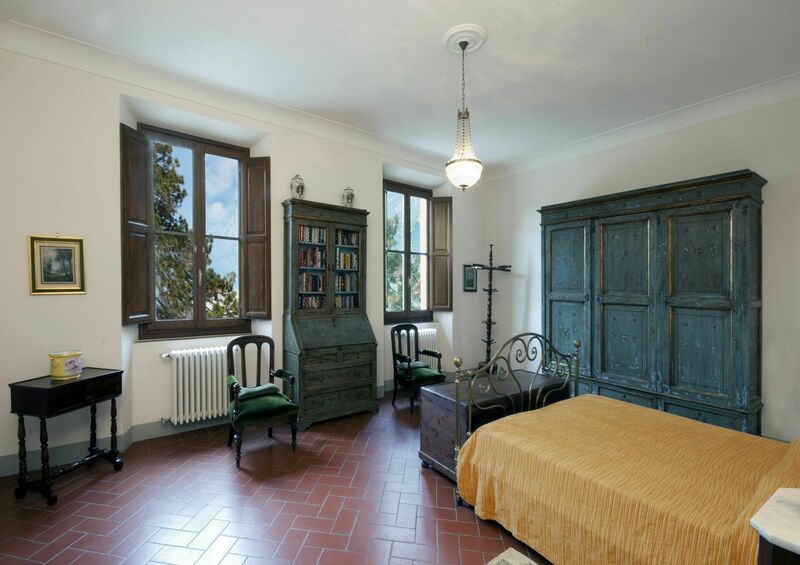 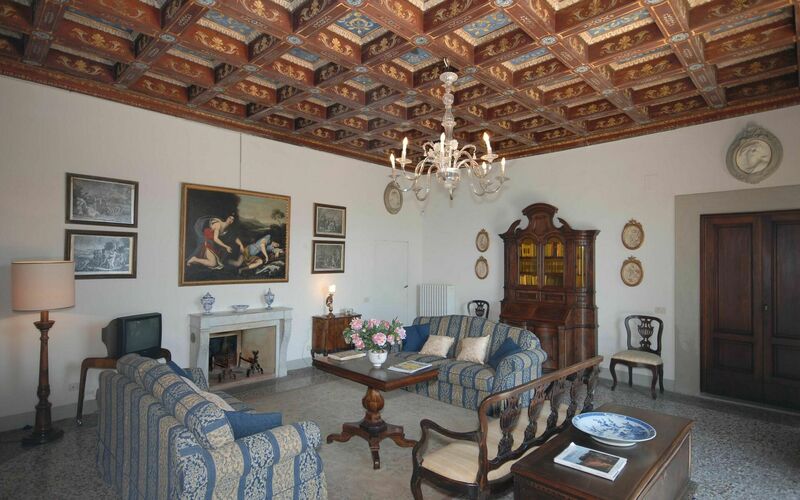 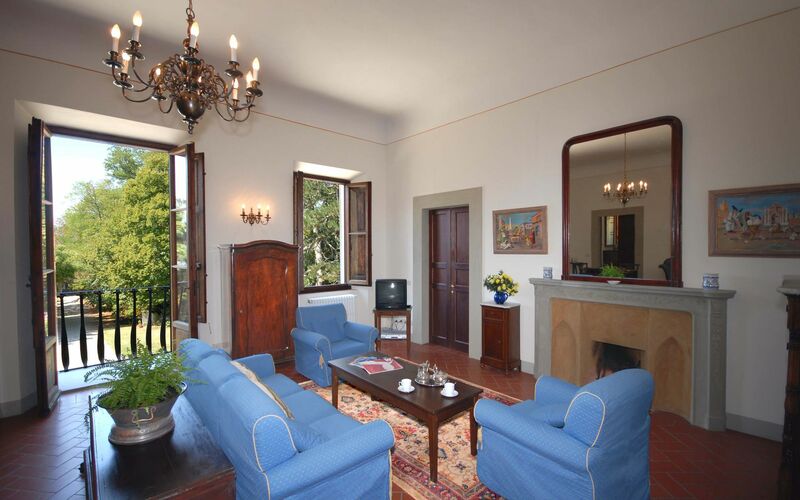 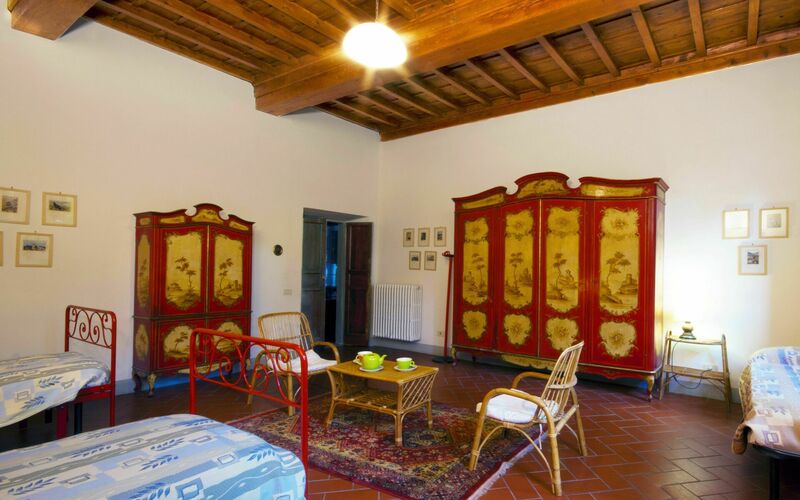 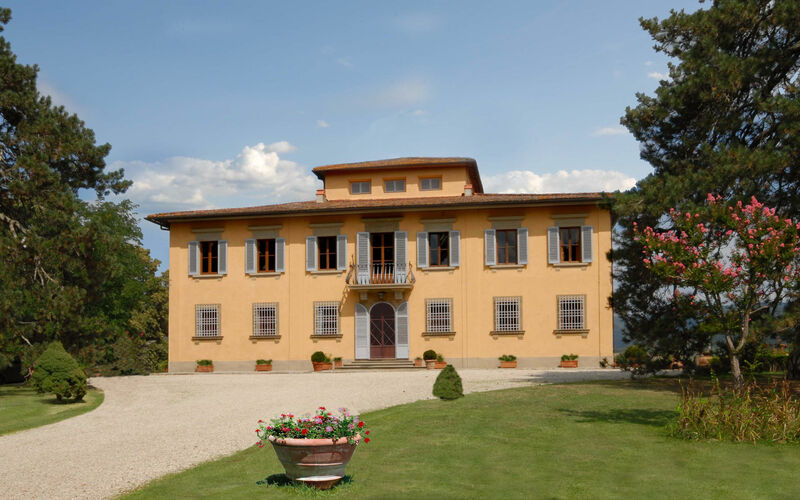 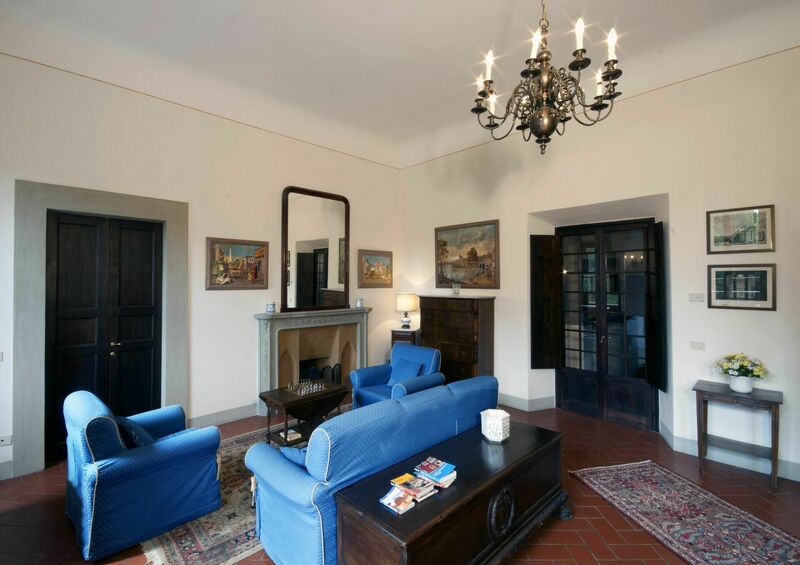 Imposing and elegant villa of the eighteenth century on two levels, well renovated keeping the original style, the spacious rooms with ceilings "caisson" in wood and terracotta floors; the furniture is elegant with many antique items. 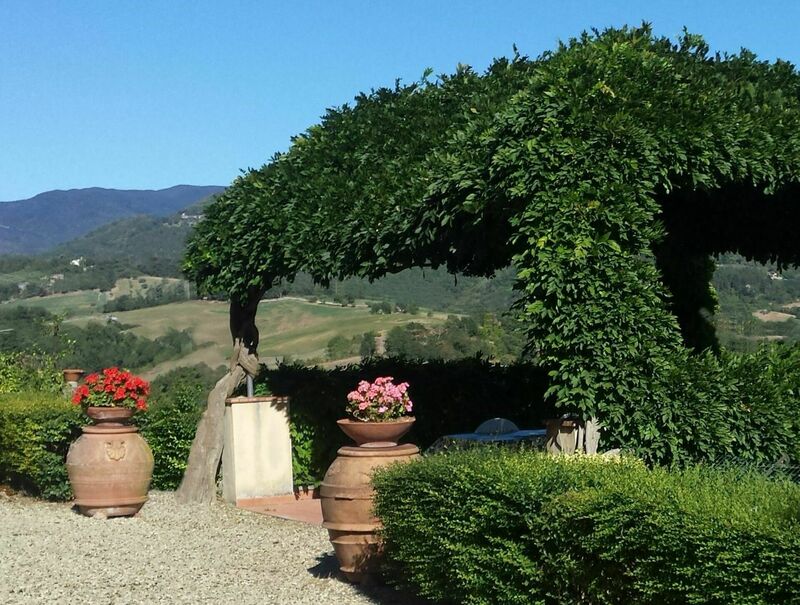 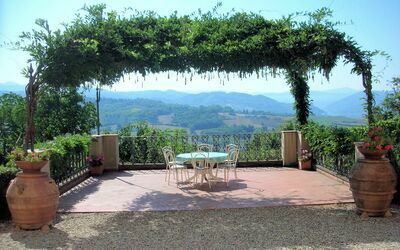 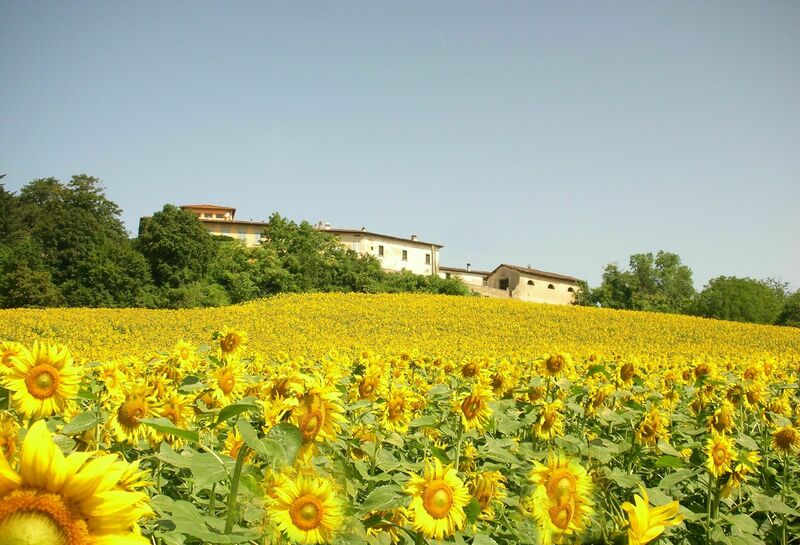 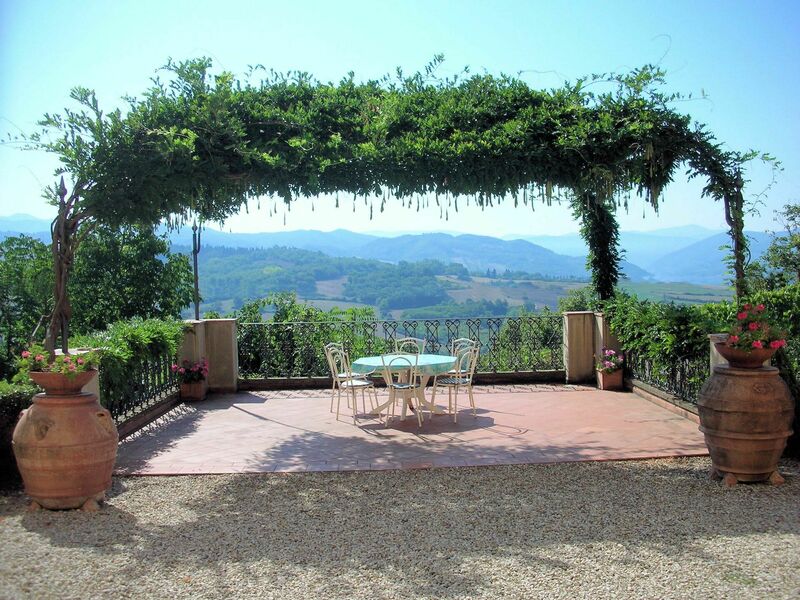 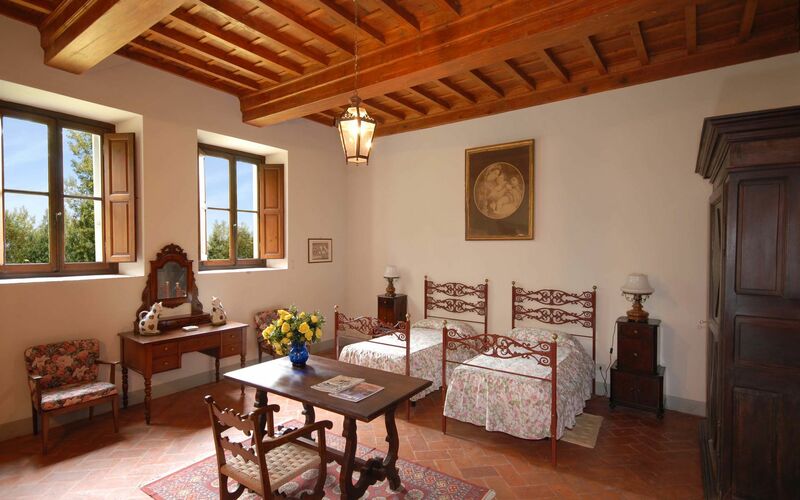 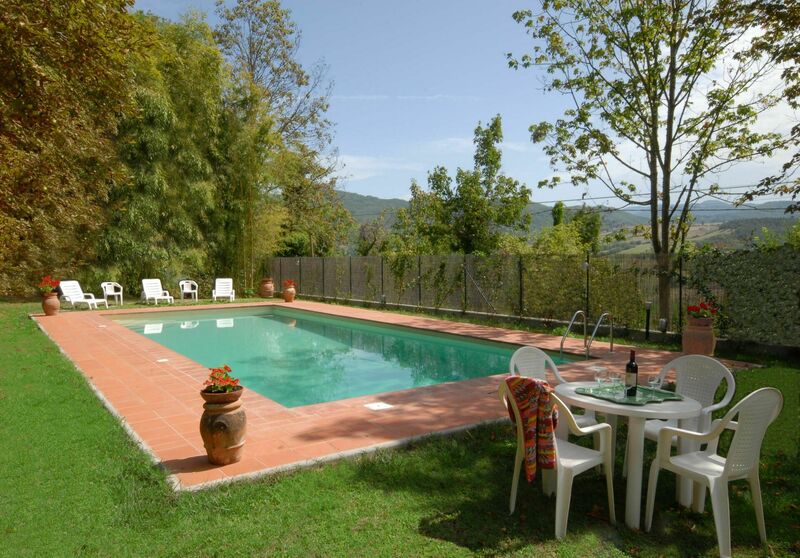 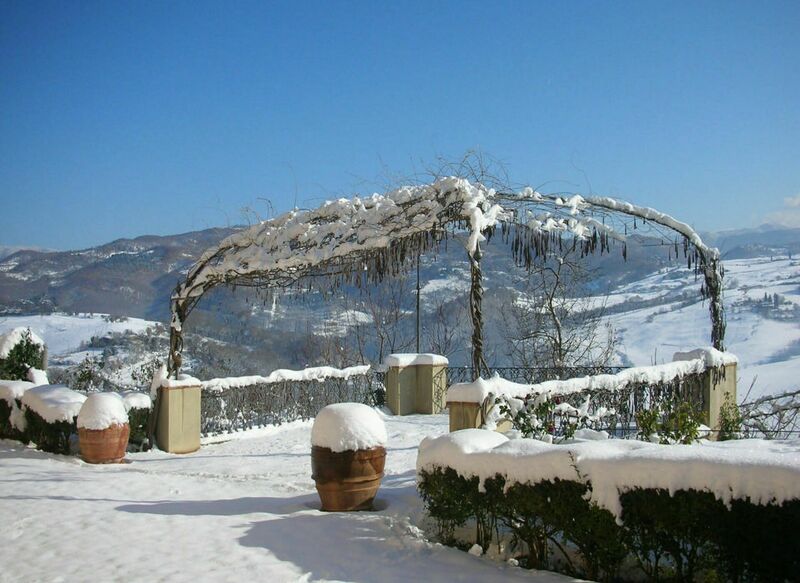 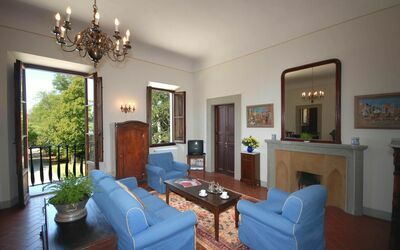 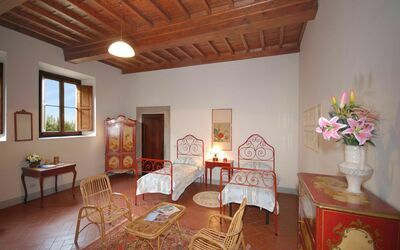 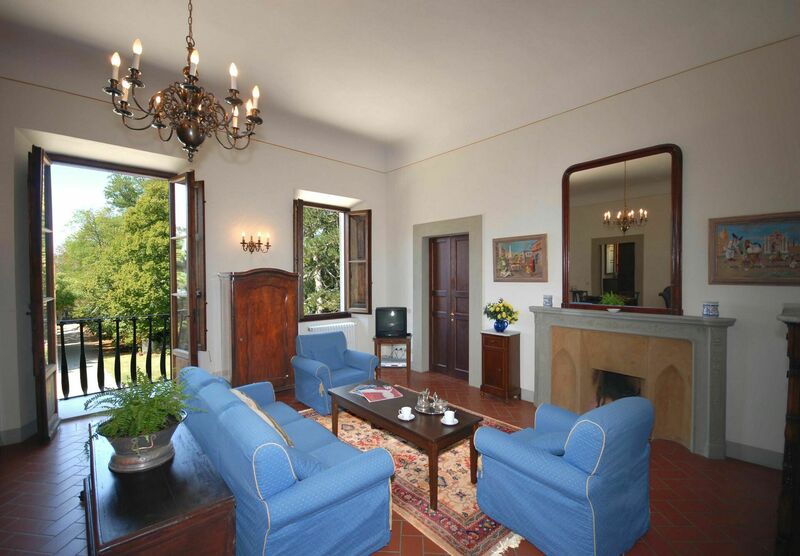 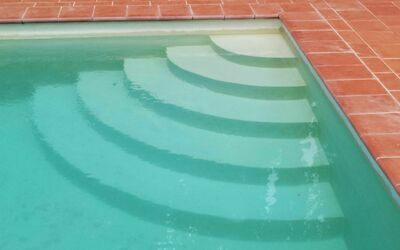 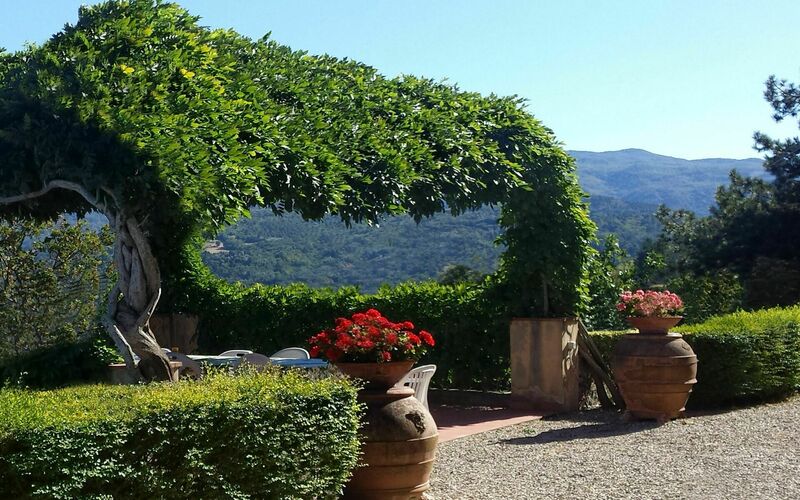 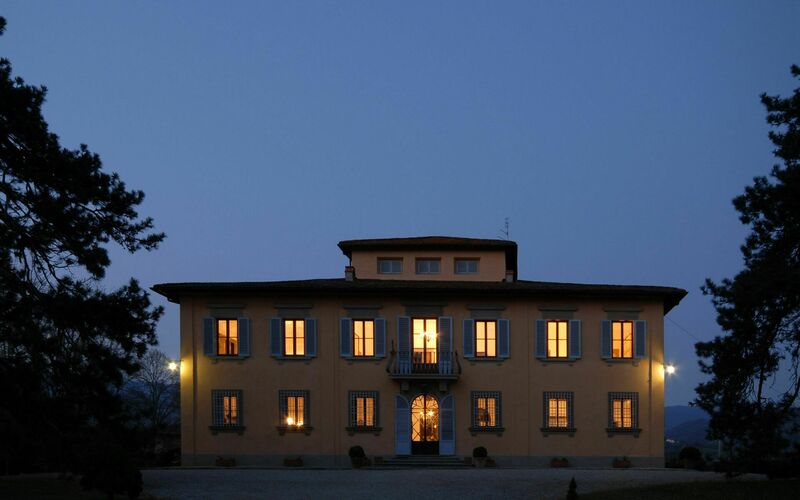 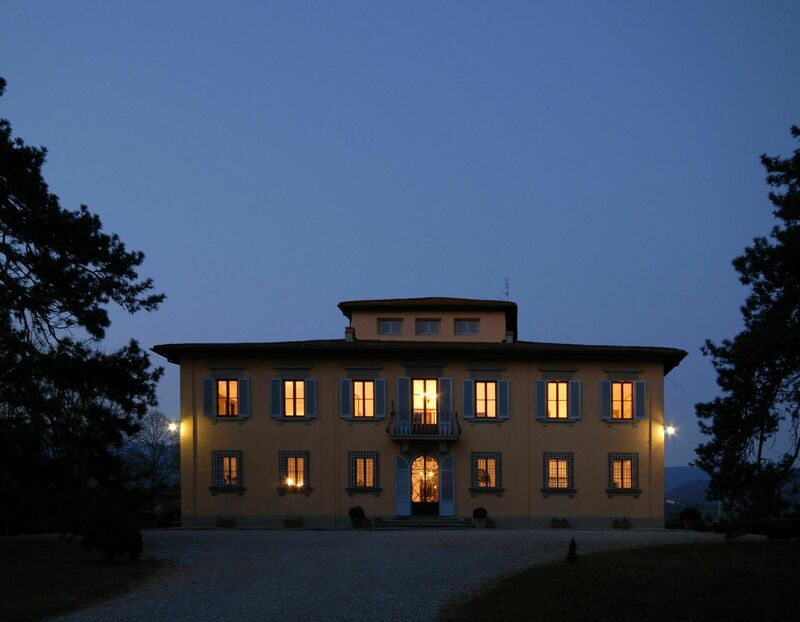 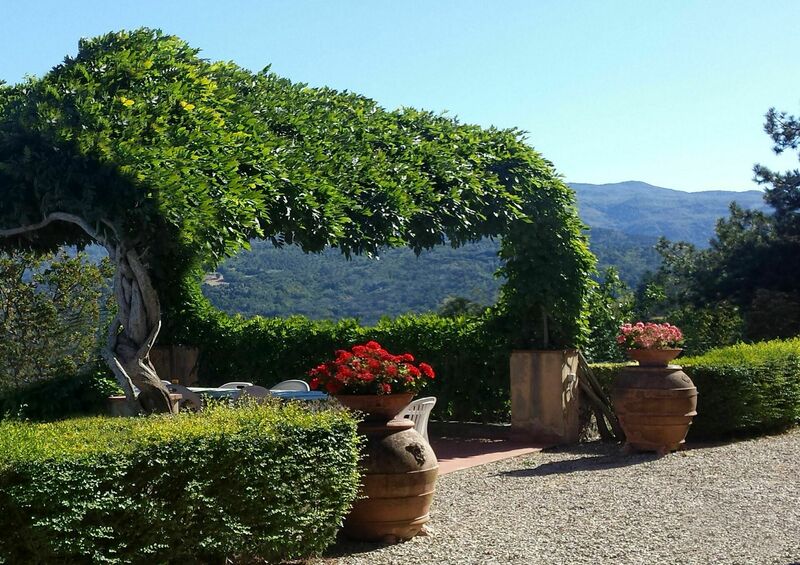 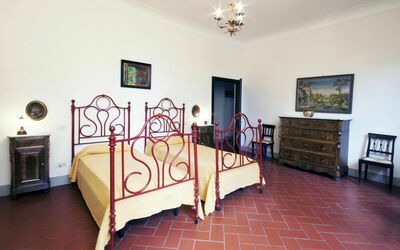 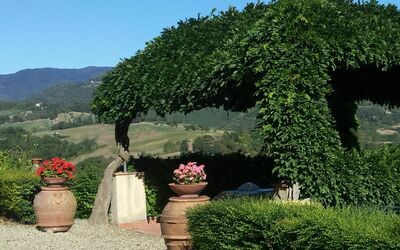 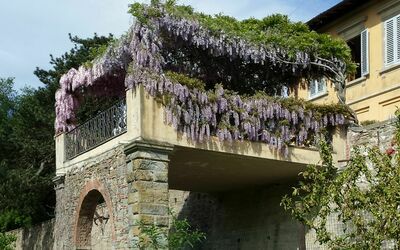 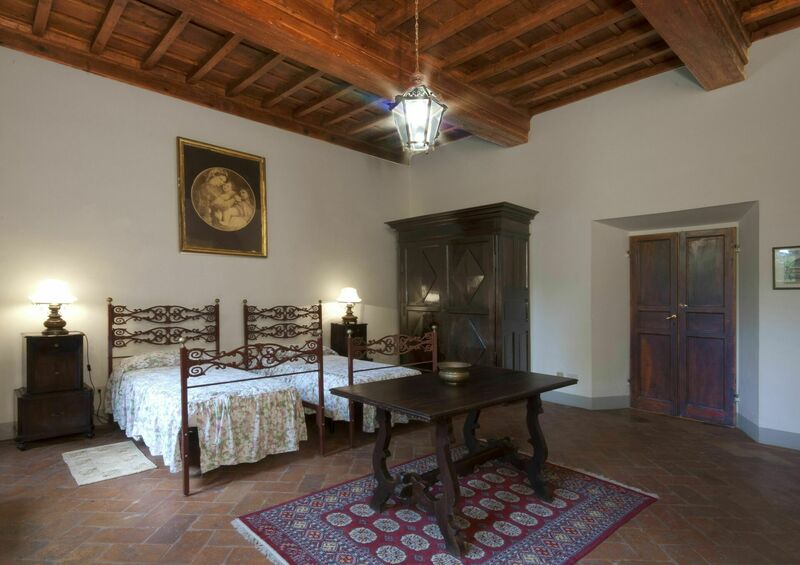 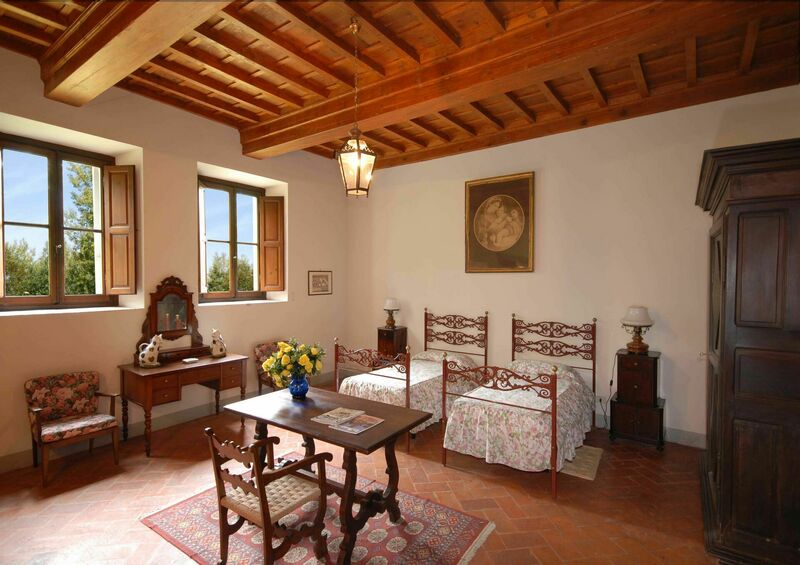 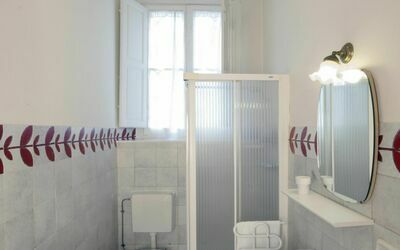 The property is nestled in the green valley of Mugello, a few kilometers from Florence and only 3km. 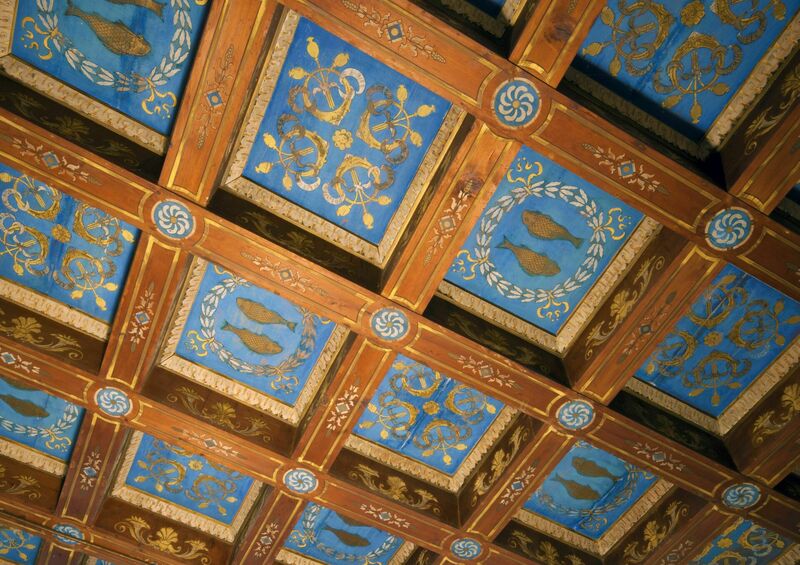 from "Vicchio", birthplace of Giotto and Fra Angelico. 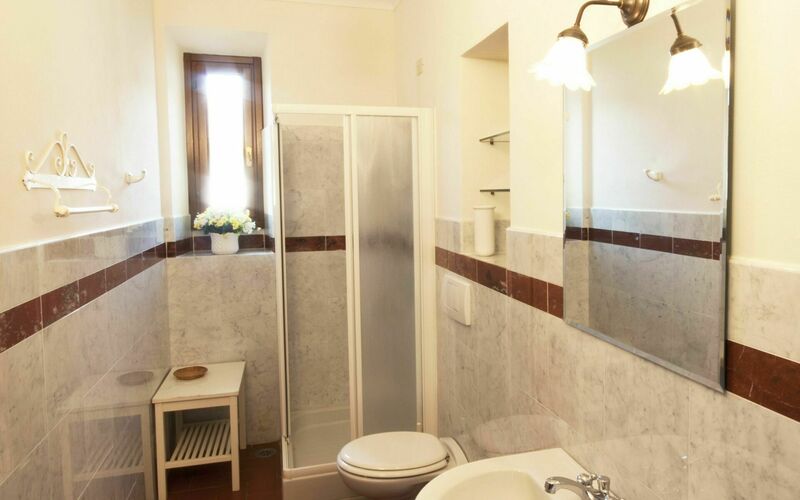 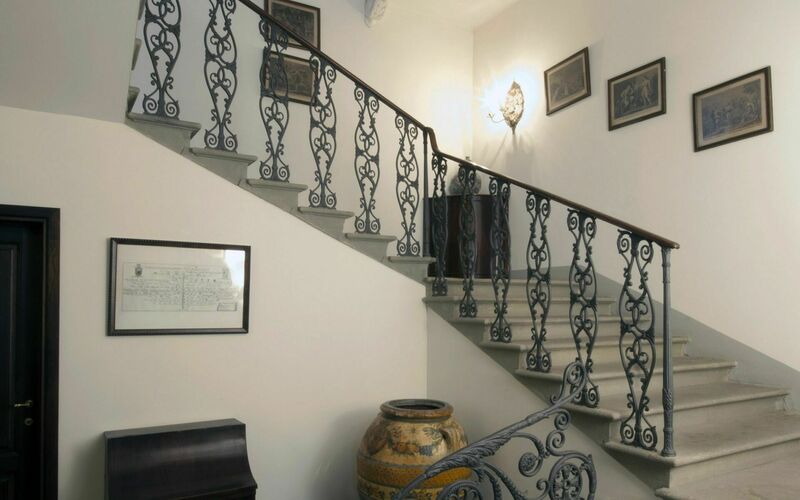 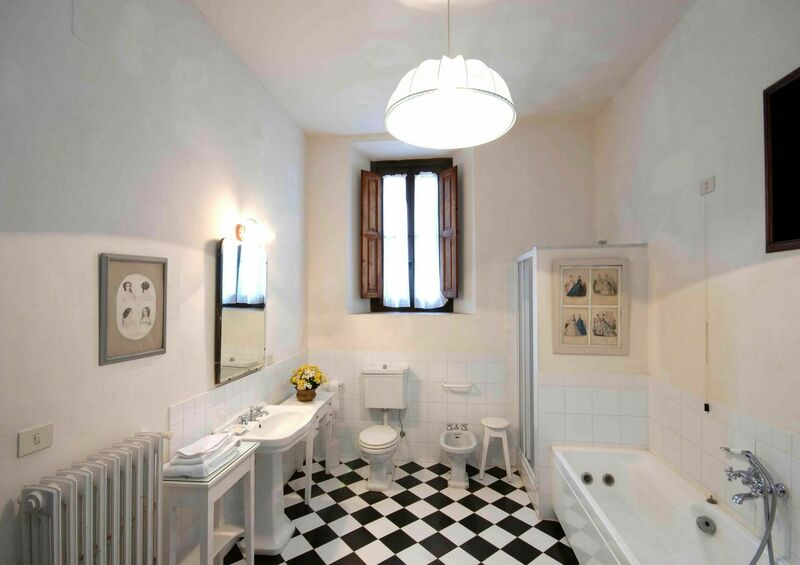 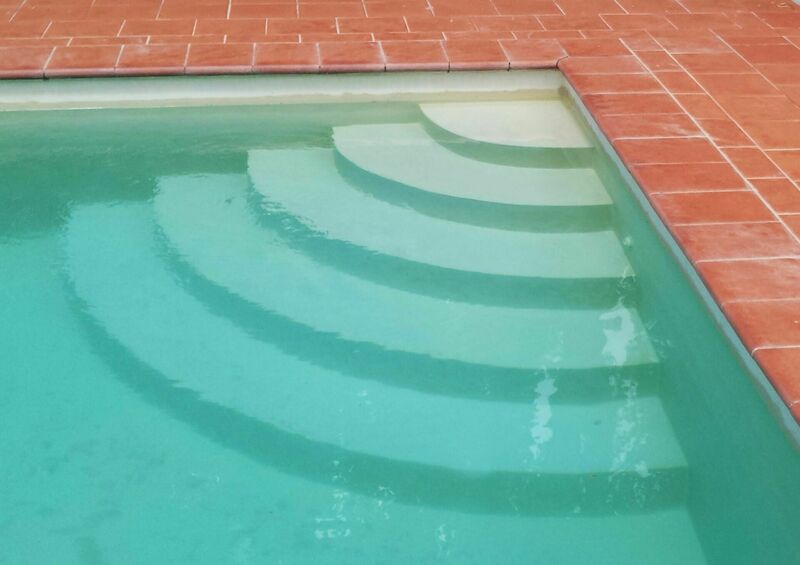 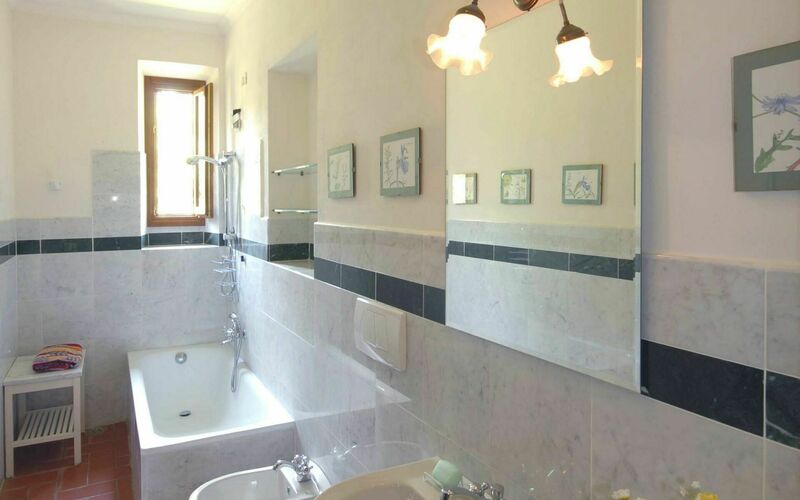 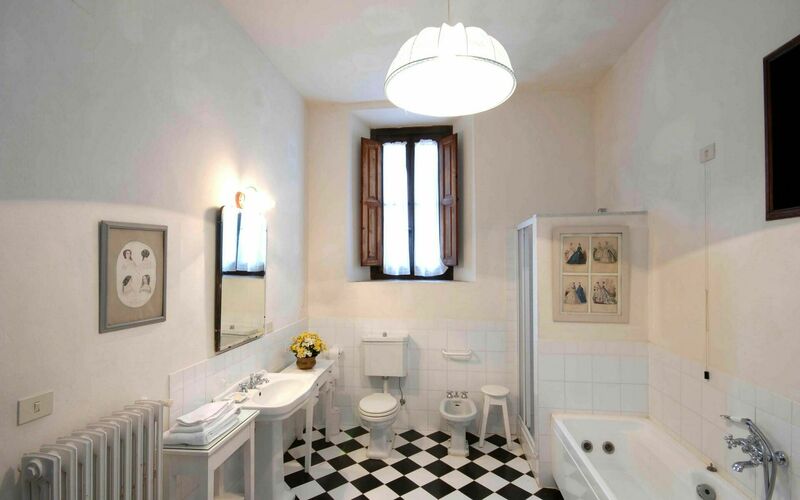 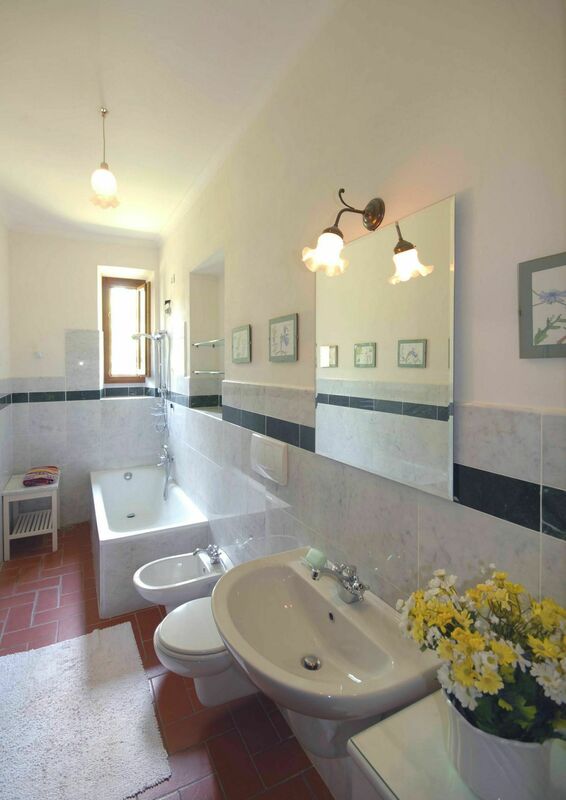 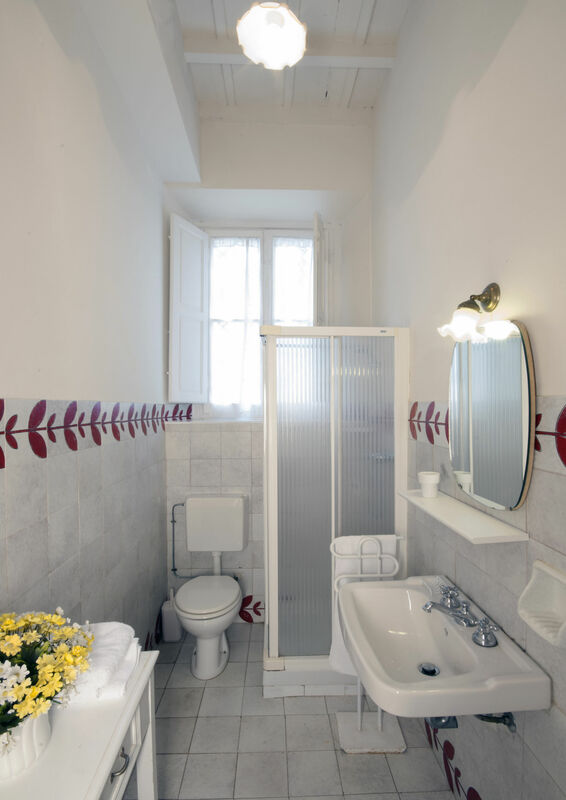 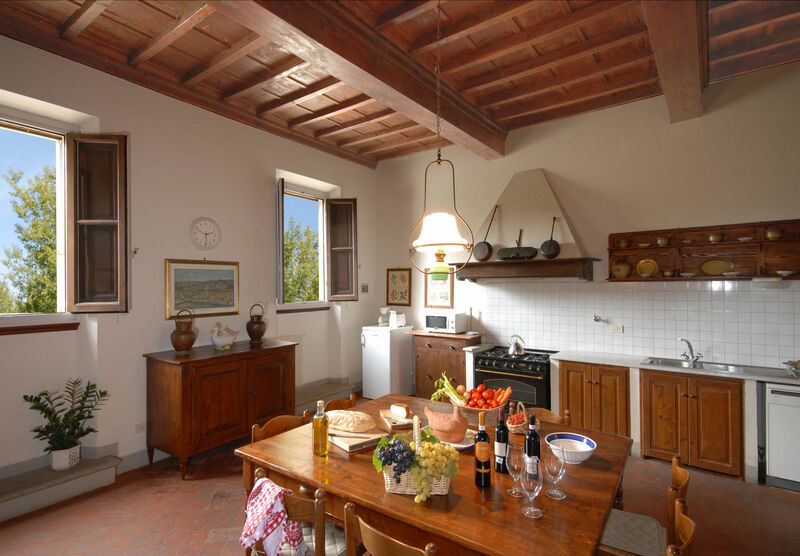 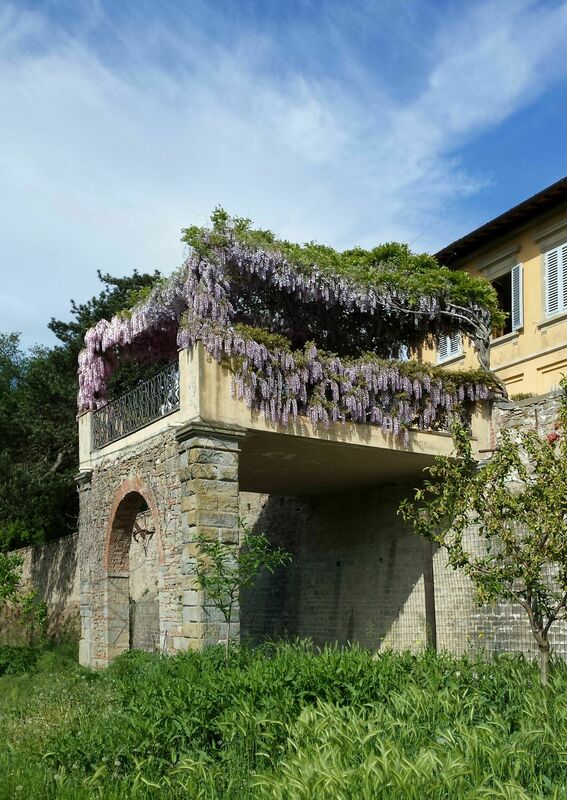 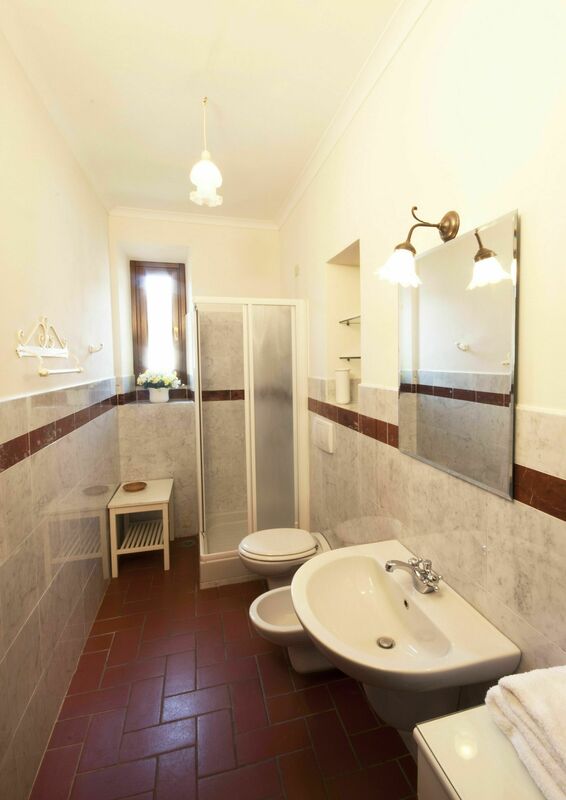 The location of the villa allows you to easily reach the main towns of the region like Florence, Siena, Lucca, Pisa; It is also possible train connections starting from Vicchio station. 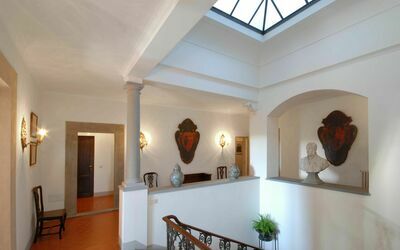 The structure is surrounded by a 10.000 enclosed park. 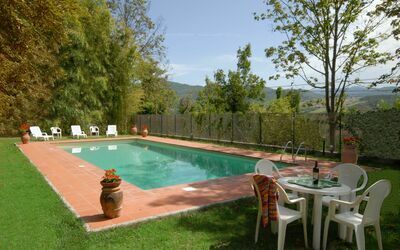 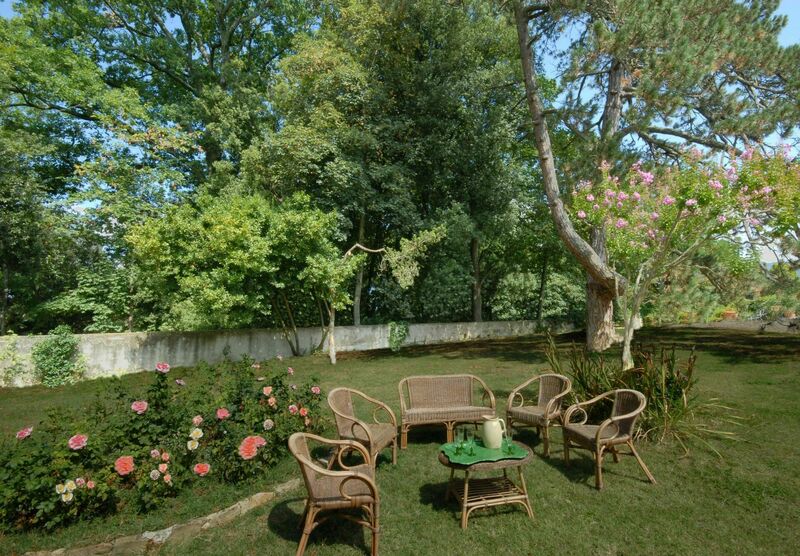 with old trees, in which is inserted the swimming pool for the exclusive use of guests (12m. x 5m. prof. 120 / 220cm.). 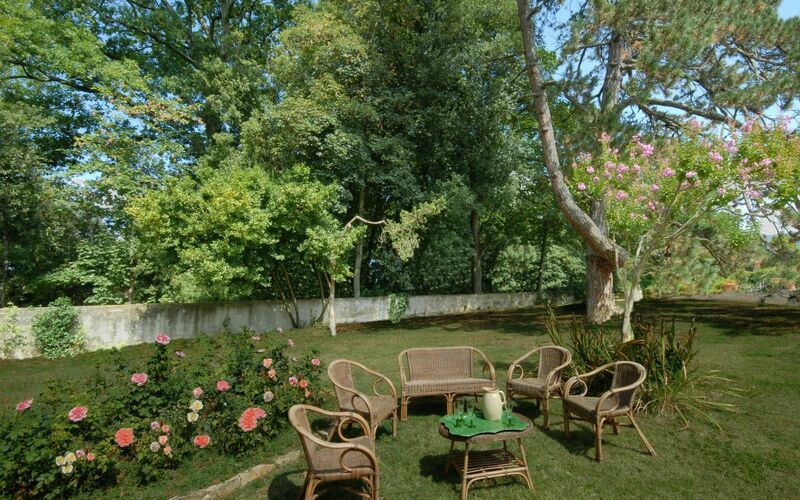 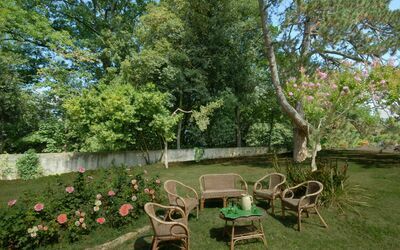 The property also has a beautiful panoramic and equipped pergola for outdoor dining (barbecue) and private parking. Wi-Fi free. 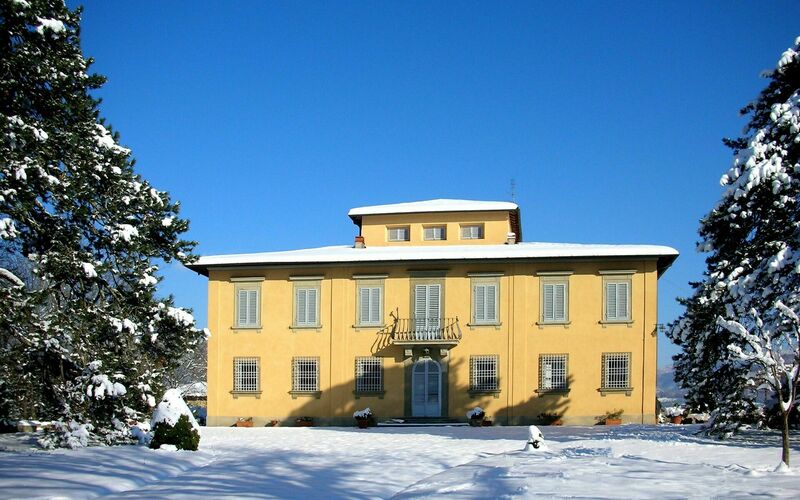 The Villa is located 3km. 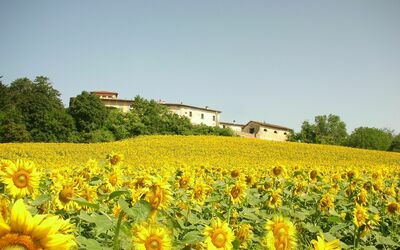 from Vicchio (birthplace of Giotto and Fra Angelico), at 42km. 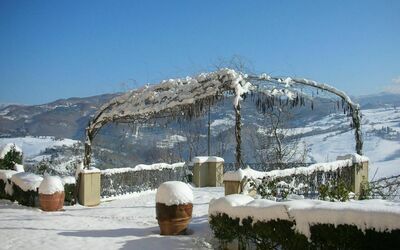 from Florence, at 27km. from the "Barberino Designer Outlet" (over 100 stores of major brands of Italian and international fashion) and Lake "Bilancino" (canoeing, sailing, windsurfing), at 23km. 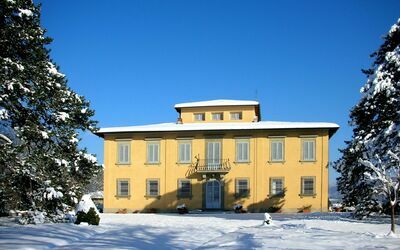 from the "Poggio dei Medici Golf Club", at 6km. from the riding stable. 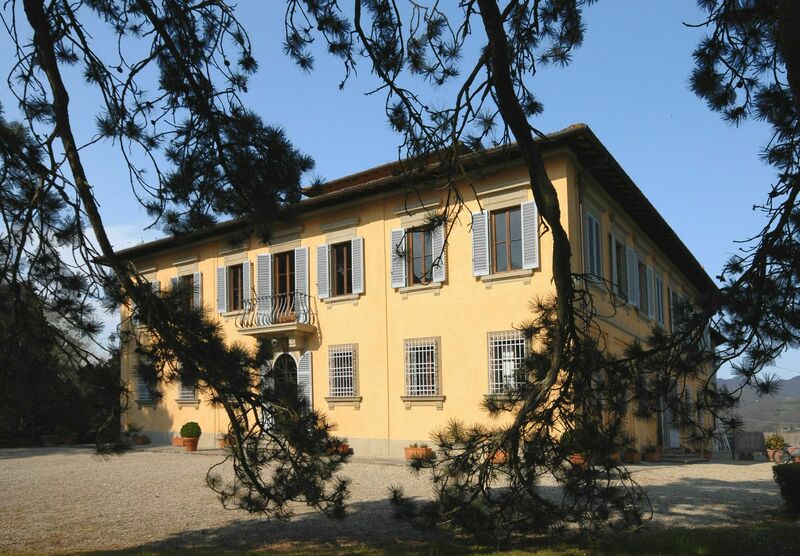 NOTE: arrivals must take place between 15.00 and 17.00 hours (unless otherwise notified). Pets are allowed by arrangement with the owners when booking. 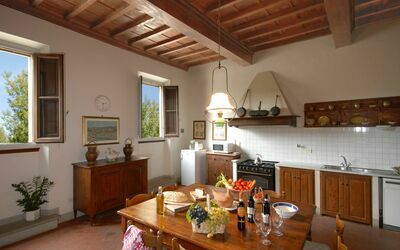 The villa, although it is attached from the back to the farm, where the caretaker lives, enjoys total privacy. 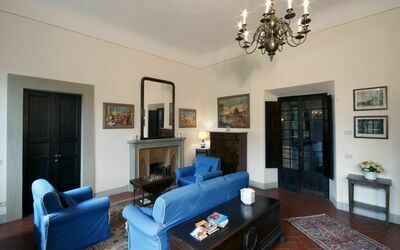 On the ground floor: large living room with satellite TV and DVD player; important dining room with ceilings "caisson" decorated; living room with fireplace which leads to the terrace; large kitchen equipped with a five burner stove, oven, microwave, refrigerator, freezer, coffee machine, dishwasher, blender and toaster; 1 double bedroom; 2 bedrooms with two single beds each; 1 bathroom with shower (toilet / bidet); 1 bathroom with shower, bath and washing machine (WC / bidet). 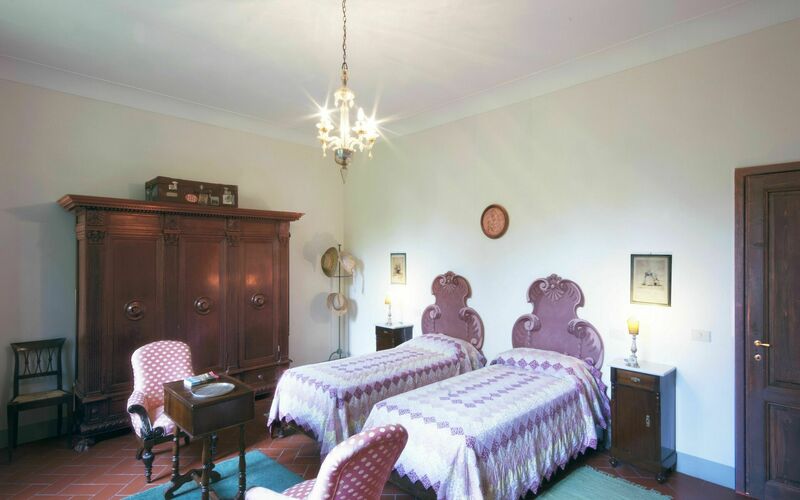 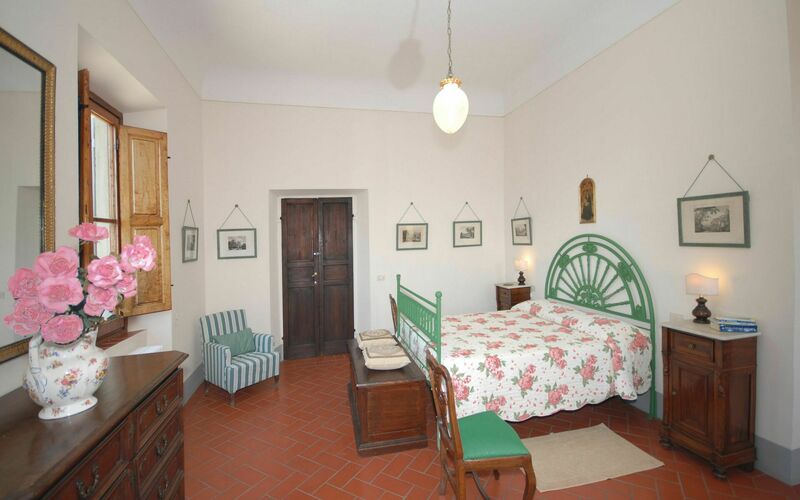 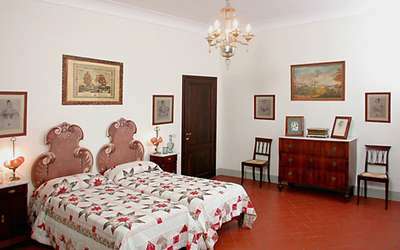 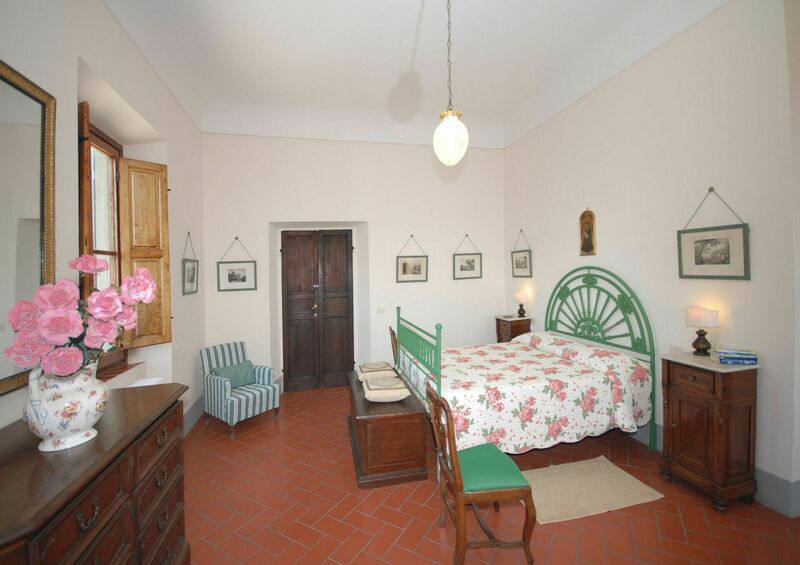 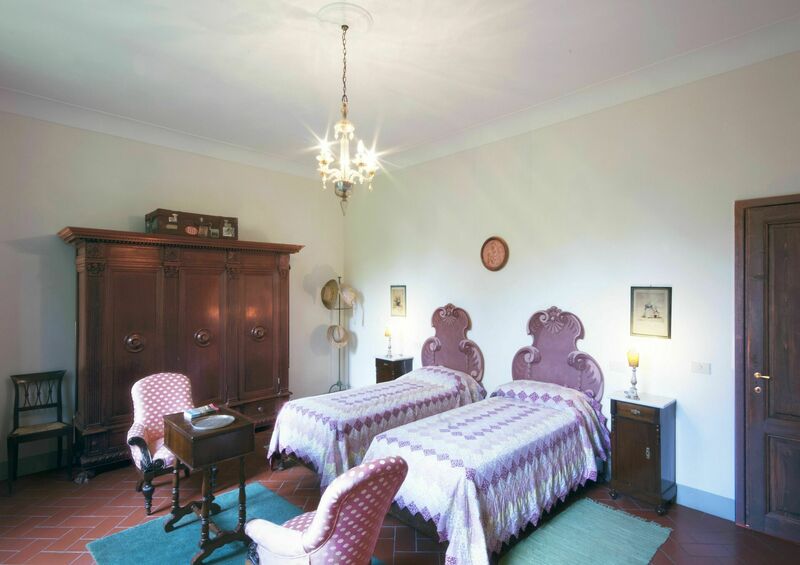 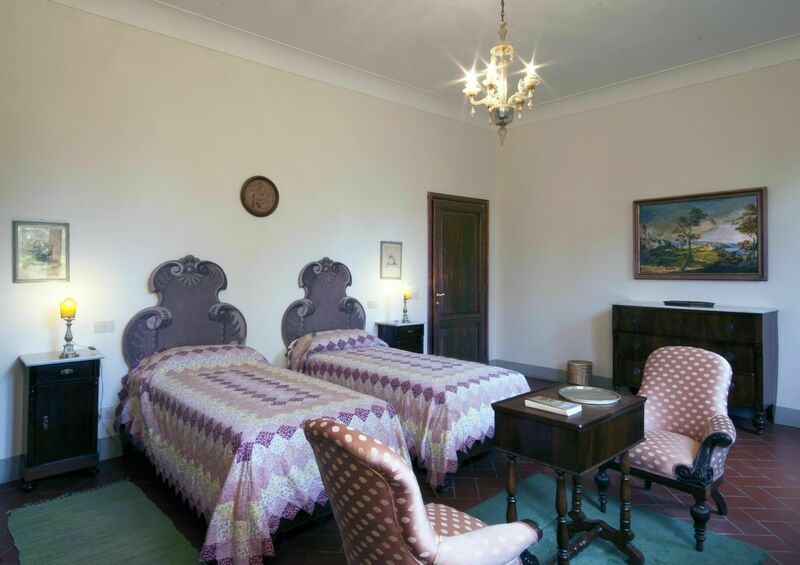 Comfortably furnished with antique and period furniture.